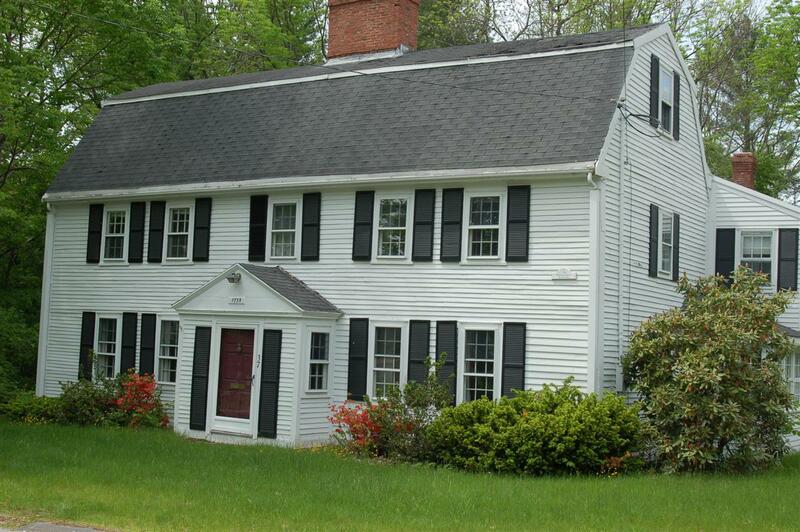 Gambrel roof, central chimney, one of only a handful of houses built of this period and style in Andover. Wonderful paneling, wainscoting and fireplace surrounds. 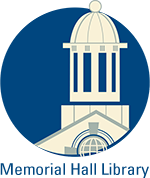 Themes: Agricultural, Architectural, Community Development and Education. Plaque over doorway gives date 1758. Main part of exterior is original. The homestead at 37 Porter Road is the former Joseph Ballard and Thomas Manning farm. The house is said to built by Joseph Ballard in 1758 for himself and his widowed mother. The house is one of only two that remain in Andover of this period and style, two stories with gambrel roof. The Hardy house at 9 Salem St. on the campus of Phillips Academy is the other. Thomas Manning, born July 27, 1747 in Billerica, MA, son of Jacob & Martha (Beard) Manning. Thomas, a shoemaker married on June 6, 1769 to Mehitable Kidder b. Feb. 22, 1749 dau. of Ephraim & Elizabeth (French) Kidder of Billerica. Thomas Manning moved to Andover and bought the Ballard house shortly after their marriage. He turned old blacksmith shop on property (now razed) into a shoe shop. Thomas became farmer in later years, owned 80 acres plus original 48. An older house was located 40 rods west, which was moved to form an ell on the present house but in 1842 this was taken away and a new ell built. Barn came with 1758 house purchase and this was enlarged 1850-51. Thomas & Mehitable had six children all born in Andover; Mehitable b. 1768 - d.1785, Chole b. 1772 – d. 1847, Sarah b. 1774 – d. 1828, Patty b. 1777 – d. 1778, Thomas b. 1780 d. 1780, and Thomas Jr. b. April 25, 1781 – d. Feb. 26, 1849. Mehitable Manning died on Mar. 21, 1825 and husband Thomas followed on Feb. 22, 1832. 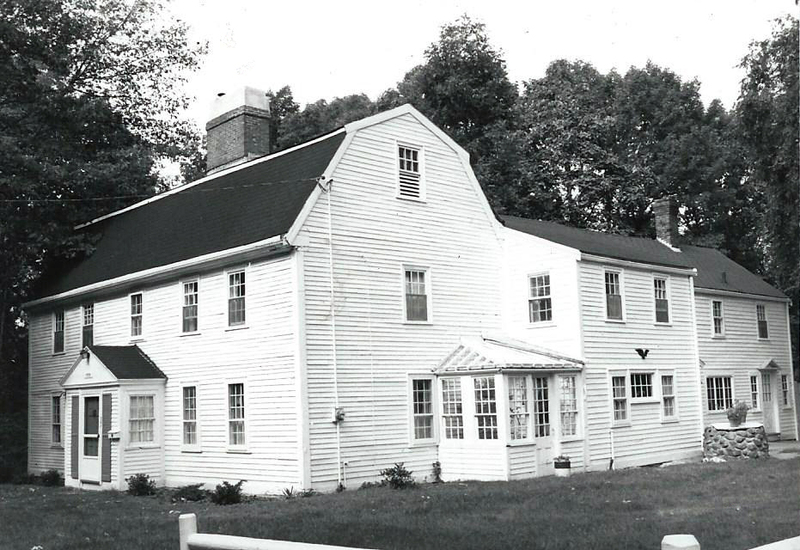 The homestead and farm was inherited by son Thomas Manning Jr.
Thomas Manning Jr., b. April 25, 1781 married Sarah Hart on Nov. 25, 1805 of North Reading, MA, Sarah was b. 1784 and died of consumption at age 55 on Oct. 19, 1839. Thomas & Sarah had eight children; Edward Augustus b. 1807 –d. , Sarah Ann b. 1809 – d. 1840, Lydia S. b.abt. 1815 d. 1843, Mary K. b. 1817 – d. 1817, Joseph M. b. 1819 – d. 1821, Mary Antoinette b. 1821 – d. 1850, John Hart b. Feb. 8, 1824 – d, Aug. 19, 1868, and Rebecca Jane b. 1827 – d.
Thomas remarried at age 61 to Adeline A. Abbott on Jan. 2, 1844. Adeline was 42, dau. of Asa & Judith Abbott. Thomas died five years later on d. Feb. 26, 1849. Son John Hart Manning then inherited the property, John H., born Feb. 8, 1824 in Andover, married about 1848 to Lois Ann Batchelder, b. March 11, 1831 in North Reading, MA, dau. of Amos & Myra (Nichols) Batchelder of North Reading, MA. John H. was a farmer. The Andover Valuation schedule of 1850 lists John Manning’s dwelling house at $500, barn and other buildings $300, 48 acre Home farm $1600, 7 acre Chandler orchard $210, 20 aces at north end of Preston Plain $500, 15 acre Holt pasture $240, 12 acre Sutton Plain $300, and 30 acre Foster Pond lot $400 for a total of 132 acres. John’s personal estate of Farm Stock $378. John & Lois Manning had five children. John’s died at age 44 in Brookline, NH on April 19, 1868. The death register states John died of Brain Fever and was a Clergyman. His widow Lois raised their children taking in boarders to help meet expenses .Lois died April 10, 1910 and the estate went to the children. John & Lois are interred at South Church Cemetery in Andover as are many of the Manning ancestors. In May 25, 1914 the Manning estate was surveyed and sub divided into 11 separate parcels for house lots. [ Plan #174 by F. H. Foster] The heirs of John H. & Lois A. (Batchelder) Manning began the process of dividing off the inherited lots. Son John H. Manning got the homestead lot #4 and two portions of lot #3 as his one fifth of the Manning estate. John H. Manning married Mary F. Woodbridge b. 1856 in Andover, dau. of Francis & Ella (Mason) Woodbridge of Andover, MA. Both John & wife Mary were teachers. Manning School. -The Manning family states that the room on south side of house was used as private school room for boys under teacher John Hart Manning. John H. & Mary had two children; Mervyn M. Manning b. June 21, 1888 and Anne L. b. abt 1889. Both children would later inherit the homestead with the death of their mother Mary (Woodbridge) Manning on May 9, 1947. Anne L. Manning who married Warren H. McKeon later sold her portion of the estate to her brother Mervyn on Sept. 22, 1959. Mervyn M. Manning married at Hanover, NH on Oct. 26, 1914 to Blanche D. Poole b. 1888 in Pittsfield, NH, dau. of William & Harriet (McConnell) Poole. They also had two children; Anna L. b. abt. 1923 and Mervyn Mason Manning Jr. b. Dec. 11, 1923. Blanche died on May 7, 1956 and her husband died Mervyn Sr. died in 1960. Mervyn M. Manning Jr. married Elizabeth T. George. b. 1929. . Mervyn died Oct. 23, 1992 and the homestead was inherited by his wife Elizabeth. Elizabeth later remarried and placed the property into the 37 Porter Road Trust, with her Elizabeth G. Schumm as trustee on Sept. 27, 1997. Elizabeth sold the Manning Homestead to Todd D. Wacomb on May 28, 1999 ending 230 year ownership by the Manning family. The property was placed in the Fieldstone Meadows Development Corporation on May 14, 2004. The former lots have been sub-divided to create "Manning Way"
Of the remaining Manning land division of 1914; number #33 Porter Road was developed into a bungalow home by Caroline Thayer (Manning) Whitehill who married Edwin H. Whitehill a teacher. The home at #41 Porter Rd. (formerly #39) was developed by Martha (Manning) Disbrow. b. 1860 – d. 1937 who married m. Edward D. Disbrow b. 1865 – d. 1947. Both were the daughters John H.& Lois Manning. Horace Lewis from New Hampshire 1852-54: John W. Haley, Andover Seminary student, 1861; Charles Casey Sterbuck, former ATS instructor in sacred literature lived here in 1883 with his family, while devoting himself to writing. 1913 - interior restored by John Hart Manning- retaining paneling and old fireplaces, wide floorboards of original. Goldsmith, Bessie: Historic Houses of Andover, Mass. 1946. John H. & Mary W. Manning Jr.